Definition at line 10 of file CCopasiXMLParser.h. Definition at line 18 of file CCopasiXMLParser.h. Definition at line 502 of file ListOfModelParameterSets.cpp. Definition at line 507 of file ListOfModelParameterSets.cpp. 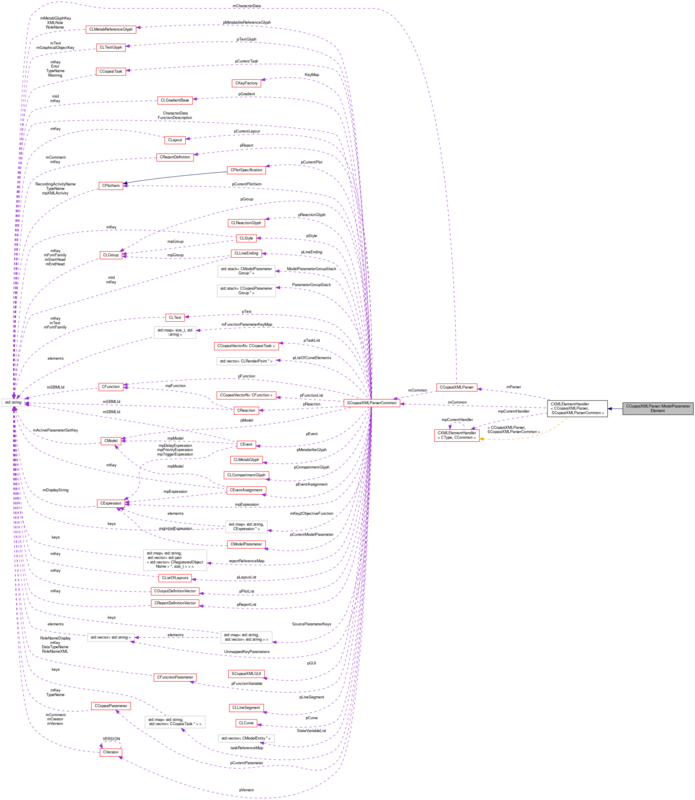 Definition at line 604 of file ListOfModelParameterSets.cpp. References SCopasiXMLParserCommon::CharacterData, CCopasiMessage::EXCEPTION, CCopasiMessage::getLastMessage(), CCopasiXMLParser::mCommon, MCXML, CExpatTemplate< CExpat >::mParser, SCopasiXMLParserCommon::pCurrentModelParameter, CModelParameter::setInitialExpression(), CCopasiMessage::size(), START_ELEMENT, and UNKNOWN_ELEMENT. 633 // due to incomplete model specification at this time. Definition at line 510 of file ListOfModelParameterSets.cpp. 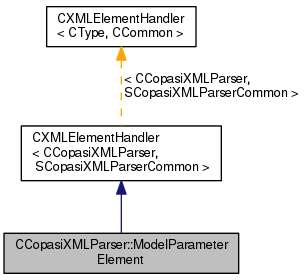 References C_FLOAT64, CModelParameter::Compartment, CCopasiMessage::EXCEPTION, CModelEntity::FIXED, CCopasiXMLParser::mCommon, MCXML, SCopasiXMLParserCommon::ModelParameterGroupStack, CExpatTemplate< CExpat >::mParser, CModelParameter::ParticleNumbers, SCopasiXMLParserCommon::pCurrentModelParameter, CModelParameter::ReactionParameter, CModelParameter::setCN(), CModelParameter::setSimulationType(), CModelParameter::setValue(), CModelParameter::Species, toEnum(), CModelParameter::TypeNames, CModelParameter::unknown, UNKNOWN_ELEMENT, and CModelEntity::XMLStatus. 538 // Element specific code.